Below we share step-by-step instructions on how to clean gobo projectors, both interior and exterior models. 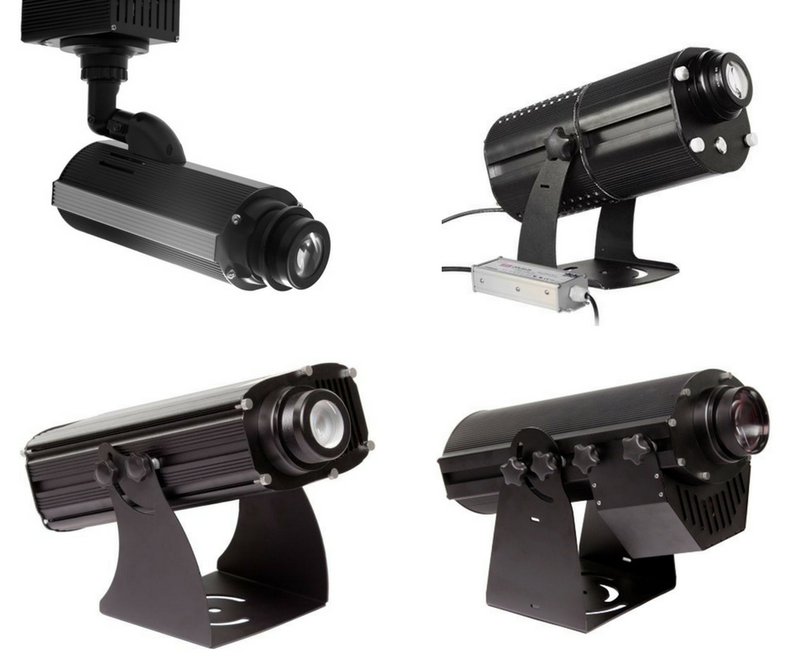 For projectors that are exposed to a high amount of dust and dirt, such as a warehouse or exterior installation, the following steps should be performed every 1-3 months. In a low-dust environment, such as an office or retail space, cleaning is necessary only every 1-2 years. Always unplug the ECO Spot Gobo Projector and let it cool down before cleaning or maintenance. Unscrew 4-8 screws (depending on the model) on the outside perimeter of the backplate with a Phillips screwdriver. After the backplate is unscrewed, carefully pull the projector straight back out of the aluminum projector housing. It should slide straight out along the side rails. Clean inside and outside of aluminum housing with a damp rag or paper towel and wipe dry. can cause the projector to malfunction. Now inspect the gobo and clean if necessary. The non-reflective side should only be wiped with a dry and clean microfiber cloth, while the reflective side can be cleaned with glass-safe solvent if needed. The lens should also be cleaned. To remove the lens simply loosen the lock ring and turn the lens counterclockwise. Thoroughly clean it with a microfiber cloth, and re-screw the lens into the faceplate. It will need to be re-focused later. When done, slide the projector back into the projector housing by lining up the two side slots on the front with the two slider rails. Slide straight forward until it’s all the way in place. Carefully screw in the backplate screws, making sure not to strip them. Once the backplate is tight, the gobo projector is successfully reassembled. Download a PDF version with visuals for LED10, C-25, C40/40+, C60/60+ here. Download a PDF version with visuals for LEDB90 and B150 here. Unscrew 4-8 thumb screws on the faceplate. Be careful not to lose your rubber seals and washers. Carefully take out your retaining clip for your gobo followed by your gobo. Clean the gobo with a fine microfiber cloth. Clean the front of the projector by blowing out the dust from the gobo holder assembly using compressed air. Then blow out the back of the unit through the fan air slots, remove as much dust from the mesh cage as possible. Clean outside of aluminum housing with a damp rag or paper towel and wipe dry. Visually inspect your projector for any signs of damage. Wire damage is most important to look for, as a bad wire can cause the projector to malfunction. When done, put the faceplate back on using the rubber seals, washers and thumb screws. After servicing, the projected image is uneven, darker and hard to focus. Misaligned front plate Check if lens is in line with the gobo, if not, rotate the front plate 180 degrees. It’s our goal to ensure your projector functions at its best over its entire lifespan so if you have any questions about cleaning your GoboSource projector, reach out to customer service at 1-800-213-1092 for assistance. Posted on May 31, 2018 by gobosour. This entry was posted in Uncategorized. Bookmark the permalink.